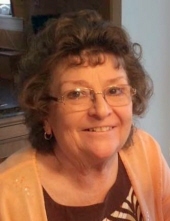 Phyllis Samara Evans, age 70, of Westminster, MD peacefully entered into eternal rest on Wednesday, December 12, 2018 at Carroll Hospice Dove House. She was the loving wife of the late Clarence Edward Windsor, her beloved husband of 15 years, who passed away November 5, 2018. Born January 31, 1948 in Elkins, WV, she was the devoted daughter of the late James Edward Burr and Lois Viola Robinson Burr. Phyllis was a beloved mother and grandmother. She is eternally loved and sorrowfully missed by her four children and their spouses: Thomas Evans Jr. and Susan Evans of Mt. Airy, MD, Daniel Evans Sr. of Littlestown, PA, Cedonia Evans and Cris Evans LoVetro of New Market, MD, and Candice Evans Poska and Vincent Poska of Frederick, MD; eight grandchildren: Jace, Perry, Kristen, Brooke, Isaac, Paige, Miles and Raina; great grandson, Anthony James; brother, Ernest Burr and wife, Darlene; step children Sue Shuler and Bob Windsor; five step-grandchildren; two step-great-grandchildren; and many nieces, nephews, and friends. Mourning, in addition to her friends and family, is her loyal little companion and canine friend to the end, Roscoe, the heartbeat at her feet. Phyllis was employed for more than 20 years with Carroll Lutheran Village. She attended Mt. Lebanon Fellowship Church, Damascus. She enjoyed singing and listening to music at church and with her family. She loved reading her bible, crocheting, doing puzzles, and gathering with family. Hosting Christmas Eve was her most treasured holiday tradition. The family will receive friends at Hartzler Funeral Home-Libertytown, 11802 Liberty Rd., Frederick on Sunday, December 16 from 3 to 6 p.m. and Monday, December 17 at 11am. A funeral service will be held at the funeral home on Monday, at 12pm. Rev. Joseph Schultz of Lansdowne Full Gospel Church will officiate the service with the assistance of Rev. Donald Carpenter. Interment will follow in McKendree Cemetery, 14000 Frederick Rd., West Friendship. Memorial donations may be made to Carroll Hospice Dove House online https://www.carrollhospice.org/make-a-gift or by mail 292 Stoner Ave. Westminster, MD 21157. To send flowers or a remembrance gift to the family of Phyllis Samara Evans, please visit our Tribute Store. "Email Address" would like to share the life celebration of Phyllis Samara Evans. Click on the "link" to go to share a favorite memory or leave a condolence message for the family.